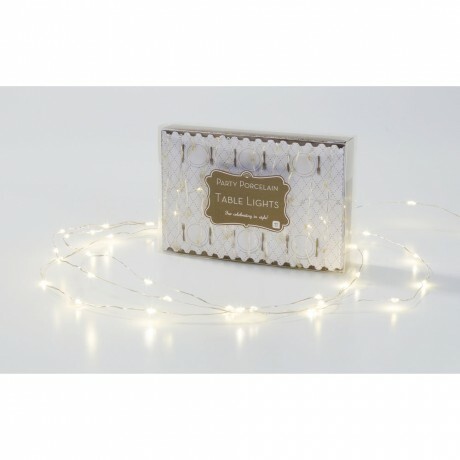 This dainty table light string of 60 LED battery operated lights from Talking Tables is perfect to create a warm glow on the table when entertaining guests or use it to highlight the floral centrepiece of a wedding table decoration and add a magical sparkle to the decor. These battery powered lights are also great in areas of a room that are difficult to light due to lack of an electricity supply - simply arrange them in a deep bowl or vase and enjoy their glow. 60 lights on 3m string - 3 AA batteries required.